During the Winter Semester 2014-2015 the introductory Master of Urban Design Studio at TU Berlin investigated the potential of user-driven, participatory development models for the Kreuzberg district between the river Spree and Tempelhofer Feld ± an area with a diverse culture, high transformative dynamics and a conflict-ridden history. The class of about 40 international students was asked to consider the city as complex organism and territories of contestation in order to take a stand on the role urban professionals play ± mediating between conflicting interests, fostering co-existence, co-production and a process-oriented urbanism to render these dynamics productive. Our goal: the city as a common good. Seven exemplary projects were developed, unfolding a range of possible local development scenarios. Each group worked at the interface between past, present and future. The present: The actual state; Kreuzberg as we observe it, occupy and use the district today, how it shapes our daily lives; spaces, networks, relationships, processes, program and use. 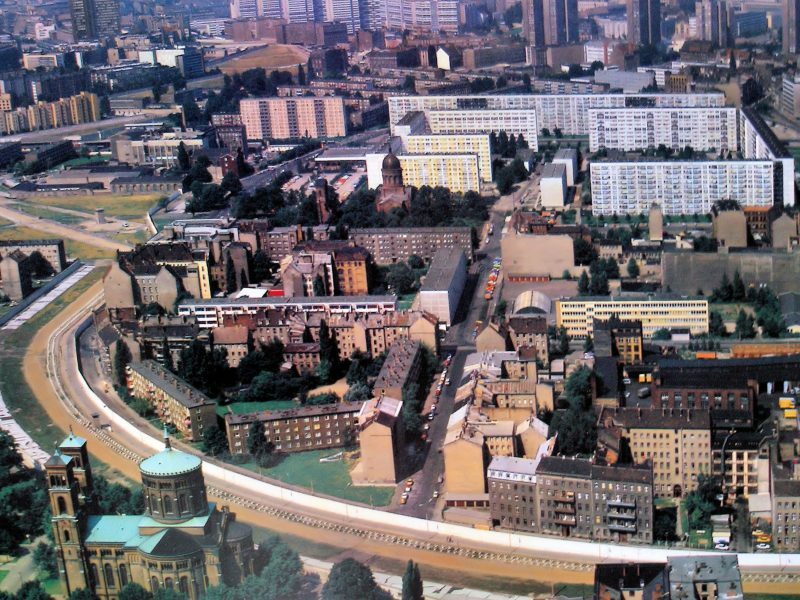 The past: The history of Kreuzberg and its inhabitants, their experiences and personal narratives, the inscriptions and traces left from past planning paradigms. The future: The projects, plans, desires, visions, imaginations, ambitions, interests, possibilities, opportunities, conflicts and threats; short, medium and long term. Each scenario offers specific answers to the generic questions: Whom do we plan for / with? What is negotiable? How can specific projects contribute to build resilient mixed neighbourhoods? How can we include political, legal, economic, and participatory parameters with traditional architectural and urban design skills? What is good neighbourhood development and what is important in order to achieve it? In responding to this, the studio provides an input to the discussion on the diversified society of the 21st century and its varying living, working and housing forms and their relation to the city’s commons. Das Urban Design Studio untersucht aktuelle Themen der nutzergetragenen Quartiersentwicklung im westlichen Kreuzberg zwischen Spree und Flughafen Tempelhof – einem Gebiet mit vielseitiger Kultur, hoher transformativer Dynamik, und keicher Geschichte. Es greift dabei auf Kernkompetenzen der beiden Fachgebiete International Urbanism and Design / Urban Design and Urbanisation zurück und führt die Untersuchungen zu bezahlbarem Wohnen in Berlin weiter, welche das letztere nunmehr im dritten Jahr fortführt. Ausgehend von stadträumlichen Untersuchungen, der Dokumentation von bisheriger Praxis und Akteursanalysen, werden Planungskriterien für mehrere Testfelder wie z.B. das Dragoner Areal am Mehringdamm entwickelt. Die resultierenden städtebaulichen Szenarien werden anschließend im Hinblick auf die Berliner Liegenschaftspolitik, Planungsverfahren, Finanzierungskonzepte, etc. untersucht.Das Studio arbeitet somit an der Schnittstelle von Politik, Verwaltung, Wirtschaft und Zivilgesellschaft und hebt die Bedeutung von politischen, juristischen, ökonomischen und partizipativen Parametern für die Entwicklung von innovativen und nutzungsgemischten Quartieren hervor. Nicht zuletzt geht es in diesem Studio auch um die Gestaltung vom Räumen für die im 21. 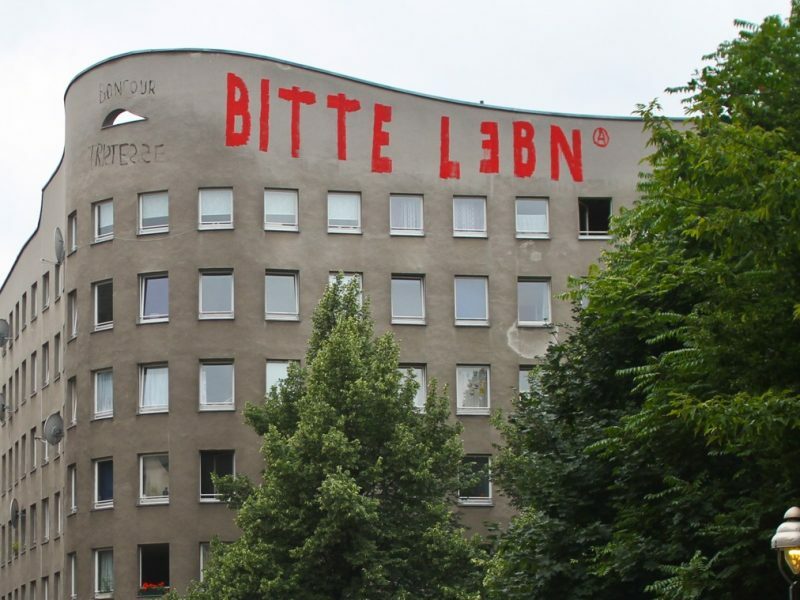 Jahrhundert diverer werdenden Lebens-, Arbeits- und Wohnformen und der Gestaltung der Zukunft der Berliner Gemeingüter.